I have featured a band from Indonesia on my blog! 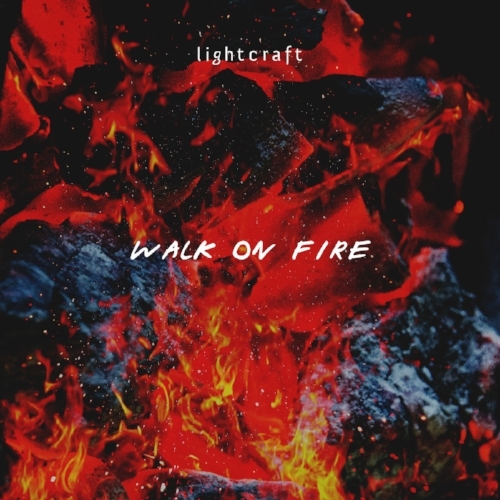 It is great to speak with lightcraft about their awesome track, Walk on Fire, and what its origin is. The chaps talk about their musical tastes and share favourite memories from their time in music – they recommend some new artists to look out for. I ask whether lightcraft will come to the U.K. and they tell me what the music scene is like in Jakarta (Indonesia); what they want to accomplish before the end of this year; if they get time to chill outside of music – they each pick a song to end the interview on. Imam: Hullo, Sam, how are you? We’re good, thanks! It’s been an okay week for us; rather uneventful, though, but it’s been all right. Had a few meetings with potential stakeholders, did an interview and a short set for a local online radio station and we’re playing a semi-acoustic set tomorrow for an opening of an art gallery. Live music tends to take a backseat during Ramadan down here, so it’s good that we’ve still got things to do! 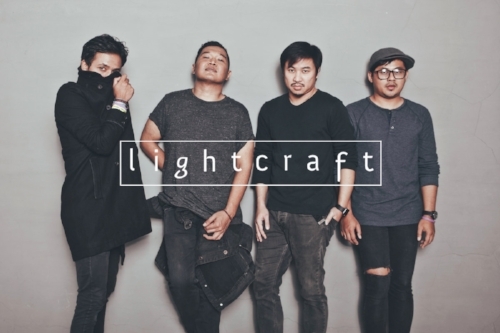 Well; we’re lightcraft and we’re from Jakarta, Indonesia. We describe our sound as anthemic Indie-Rock – very wide, very big and straight to the heart; songs to soundtrack anybody’s life at any given moment, basically. Safarilhaj (Fari): It all began in Kuala Lumpur, Malaysia in 2005, when we were still at uni. By 2006, we decided to try and give it a go at becoming a real band with original songs. We released an E.P. that year called The Modern Seasons and we haven’t looked back since. Enrico: We’re a band of brothers, essentially; more a family than a musical unit. Walk on Fire is a big and anthemic song. How did it come together? What is the story behind the track? Imam: I actually wrote the song about more than a year ago. At the time, a very close family relative of mine had just passed away. Compounded by the fact that there were also a couple of deaths in the family prior to that, and someone very dear to me had been struck down by a serious illness the year before, it triggered this realisation that life is short and we have to make the most of it. It’s a message that I would like to convey to the listeners; to actually live one’s life to the fullest, always do good and be kind to others and to always look forward rather than dwell on the past. What comes next for you? Will there be more material before the end of the year? Yes. Walk on Fire was just the beginning of something that might just be a milestone in our journey thus far - as we will be releasing our new album in August. Imam: We will be slowly releasing a few more singles on digital platforms prior to the launch of the new album as well. How did lightcraft get together? When did you find one another? Yopi: They had just returned to Jakarta and were looking for a drummer. As I was playing in this music project with Fari and another one of our previous bassists, they asked me to give it a go - and I’m still here! You are based in Jakarta, Indonesia. What is the music scene like there? Is there a blend of Eastern and Western music? Imam: Very creative, very dynamic and, also, quite saturated as there are so many bands and musicians here due to the number of our population. The rapid advancement in technology has given the opportunity for Indonesian musicians to shine as there are a lot of platforms for them to showcase their music and, yes, there is a blend of Eastern and Western music, although not as ethnically-sounding as you might think. The two biggest genres here are Dangdut and Indo-Pop. In terms of childhood tastes; did you guys all grow up on the same sort of music? Fari: Nope, not at all! We grew up listening to very different music. I was a huge Rock fan – Bon Jovi, Guns N’ Roses et al. Yopi: I have always been a Grunge-head. My adolescent years were filled with Nirvana. Enrico: I used to listen to everything, really. Imam: …and then I came along and got them to listen to my music collection! Then we found a middle-ground and just clicked. I was listening to my mum’s Jazz records and ‘80s Pop when I was a kid. It progressed to Britpop and the ‘Cool Britannia’ era, which then continued to the emergence of the likes of Travis, Coldplay; Starsailor and the likes. Yopi: Most Indonesian Indie bands don’t really go on tour – we go on weekend tours! Musicians down here tend to have day jobs, like us, so it’s quite rare for us to embark on a long tour. Our next gig abroad will be at Playtime Festival 2018 in Ulaanbaatar, Mongolia which is happening from July 6th-8th. Enrico: I would’ve never imagined that we would be playing an international music festival in Mongolia, of all places! We’re very grateful. Might you come and play the U.K. this year? Do you get a chance to gig over here? Imam: We were all set to play Liverpool Sound City again this year – we first played there in 2016 – but our visas were issued after the festival had ended due to a technical mishap, so we had no choice but to pull out. Hopefully, we could come back next year and do a proper tour. Our love for the U.K. and its music knows no bounds. Fari: We’re hoping that our upcoming album will become a huge success and propel us towards bigger things. We’re quite confident that it will be able to leave a mark on people. Imam: We also have a few more domestic and overseas music festival appearances in the pipeline, which we hope could help us create the impact that we need as we introduce our new songs and new concept. Enrico: Basically, we want every year to be better than the previous year and 2018 is no exception - especially with all the plans that we have in store. Performing in front of my parents when I was still in high-school. Enrico: The first time someone actually approached us and asked for our autographs. Imam: Probably the first time we played a show abroad. Fari: In Russia, after we played our set, a girl came over and told me that we made her day. That really melted my heart. Enrico: It would be Muse and, for my rider, I’d like a NORD Stage 3 and a good cup of coffee. Yopi: Radiohead. As for my rider, as many pints of cider as possible! Fari: I’d go for Foals and I want my favourite coffee brand, Coffeemix, which is only available in Indonesia. Imam: Coldplay or Snow Patrol. Rider-wise, a supply of cough syrup; a hot cuppa and a bag of crisps. Enrico: Never give up on your dreams! Yopi: Always be patient and maintain your creativity. Imam: Stay humble but be confident. Fari: Being overly-technical doesn’t guarantee good music. Fari: Singaporean indie-electronic-pop band M1ldl1fe. Yopi: The Melodrama, a Folk-Pop act who hails from my hometown, Tasikmalaya, in Indonesia. Imam: WYLAND, a New Jersey-based Indie-Rock quartet. 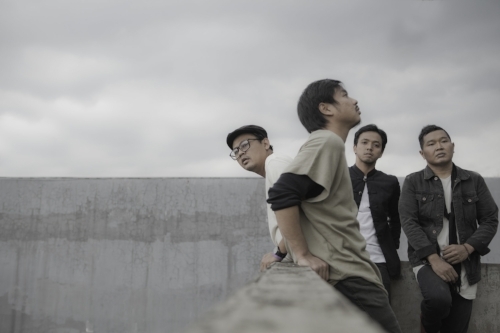 Enrico: JokoinBerlin, an Indonesian Indie band. Imam: Not really. It always haunts each and every moment of my waking hours! I’d unwind by playing a spot of FIFA on the PS4 and play football or futsal. Yes, I am footy mad! Fari: No. Well, I like to find somewhere quiet to just sit down alone with my thoughts - and I like to play FIFA too. Yopi: Nope! Even when I do unwind, I would still listen to music. Mainly, I’d spend my free time with my wife and son. Enrico: Nah. My life now revolves around music. Away from it, I’d find good food and get a lot of sleep!